Originally Submitted to FurAffinity.net on Oct 27th, 2013 10:25 AM. Before it was transferred to Inkbunny it had 151 views and 17 favorites. Commission from my friend Kaleb. 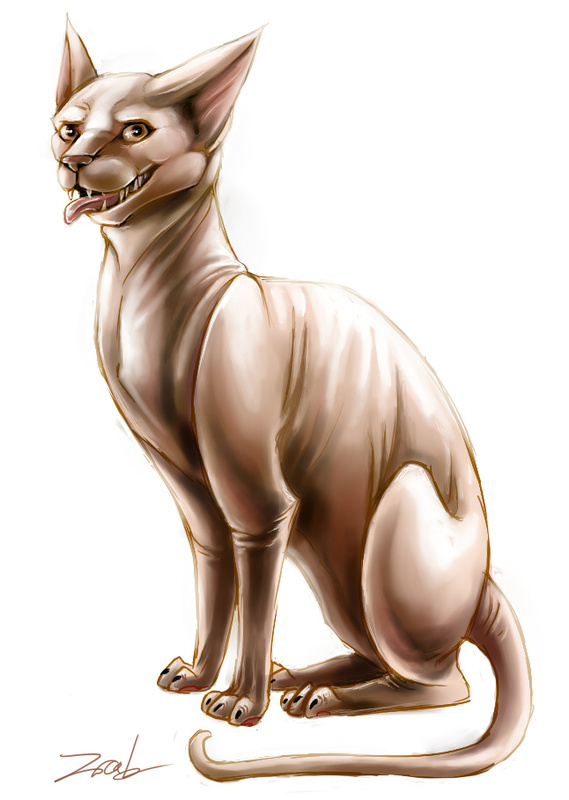 Sphynx cat is being mischievous.